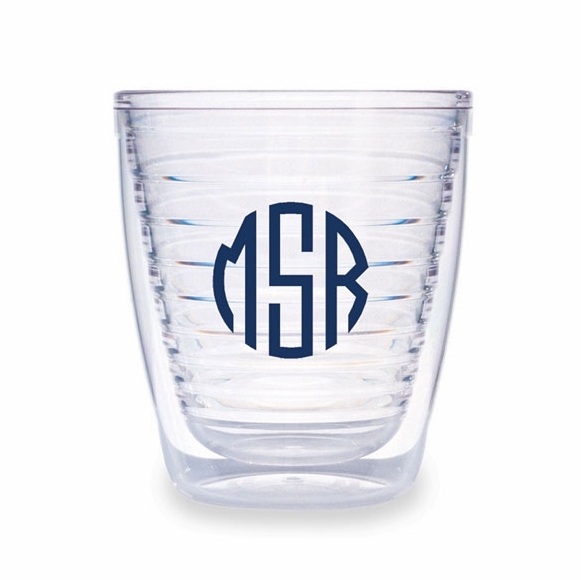 12 ounce Monogrammed Tumblers - - Specially insulated drinkware keeps your cold drinks colder and hot drinks hotter. Made from two crystal-clear walls of top-grade polycarbonate, our tumblers are nearly indestructible and will survive an impact with your concrete pool deck or kitchen tiles. Double-wall insulation reduces condensation and prevents rings. Microwave, freezer, and dishwasher safe. Lifetime mfg. warranty. Made in USA. Made to order; please allow 2 to 3 weeks for delivery.